It’s official. Stevie Stone’s “808 Bendin'” featuring Tech N9ne is spreading across the nation’s airwaves and fans are loving it. 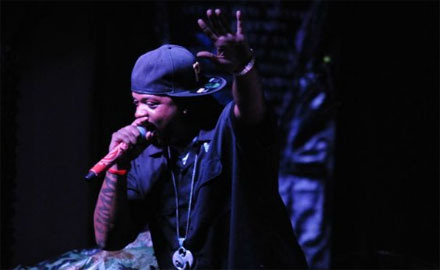 The amped up single from Stevie Stone’s Strange Music debut, Rollin’ Stone, first made its way around satellite radio and and has now found a spot on radio playlists around the country. With reports of the track being played, we asked Strange Music fans to let us know which stations in their area were showing love for Stevie Stone and Strange Music. As we found out, “808 Bendin'” could be the biggest radio hit from the Snake and Bat yet! Let us know what stations and cities are playing “808 Bendin”! Have you heard “808 Bendin” on the radio in your area?